Patrick McWilliams sent me a link to a recent presentation given by Sam & Micah Renihan at WSC on the subject of Reformed Baptist Covenant Theology & Biblical Theology. It looks to be hot off the press (Oct 18, 2011). You can view the paper here. I must say, it’s encouraging to read because the Renihan’s have reached many of the same conclusions that I have over the last few years. Of course, their view is much better researched, thought-out, and articulated, but I guess it means I’m not too crazy. Retro-active is exactly the right phrase I have been looking for. As Vos goes on to say, the New Covenant is necessarily connected to the new age, the consummation. With the inauguration of the New Covenant, the New Age breaks forth into this current age. Vos says, “The New Covenant, then, coincides with the age to come; it brings the good things to come; it is incorporated into the eschatological theme of thought.” If the New Covenant truly coincides with the New Age, we should not look back at the Old Covenant to understand this New Covenant. Instead we should look forward to the consummation. True, we live in the “not yet.” But it is just as true that we live in the “already”. For this reason we must conclude that theologies that rely too heavily on the Old Covenants for their description and articulation of the New Covenant demonstrate an under-realized eschatology. They do not give enough weight to the “already”. I’m a fellow Clarkian (albeit a neophyte) and live in the Long Beach area and would like some fellowship with some like minded Christians. Do you have an email account were I may contact you? I am back from Marburg now after being awarded a Dr. Theol, with the grade ‘sehr gut’. I got best marks for the written work because it was based on intensive research but the five oral exams in different theological disciplines was hard going. Talking for two hours about something one learnt over fifty years ago and have been forgetting ever since is not the easiest task but I have always had good teachers. My last theological orals were in Swedish but now I had to use German. I did reply at length before I left Mülheim but it disappeared after I had written it directly into the comment box and I had no copy. Now I have no idea what I wrote. So as not to take up too much space, I will first deal with your answer and later with the things where we seem to have driven on different tracks. Please do not worry about my finding you dense, as you fear, as I would not have written if I had not been impressed by your competence. I did not realize that your article on early views was an old one as I replied immediately on receiving your essay, thinking your ink was still fresh. Now I see that it was not sent to me directly by Contrast but via Brother Hugh McCann who is one of your supporters. The trouble is that this period has not yet been well-researched and the modern interpretation is based on further mainly 19th century interpretations based on a minority section of the WA, mainly Presbyterian though the Presbyterians had, by the end of the sittings very little to say. Research has almost entirely ignored the findings of the majority. These were people who are now described as ‘Puritans’ but this name was reserved for William Prynne and his Presbyterian followers who were for a status quo keeping the King and the one State Church, albeit with a Presbyterian hierarchy. Remember, the Presbyterians insisted that the 1643 minutes should emphasise that when Christ spoke of the ‘two or three’ gathered together in His name, He was referring not to the Church but to the Presbytery. This is why the Orthodox called the rebel Presbyterians ‘Rome with another name’. My intention, however, was not to place the WCF in opposition to the Reformers but to explain that the WA members were of a very mixed bunch, representing many different theological directions from Arminians through Amyraldians to Hyper-Calvinists. We must also note that the Scottish delegates who were the more orthodox Presbyterian had no voting rights but were allowed to advise. The only Scotsman to be given full voting rights was John Durie because he represented various English constituencies, chiefly Winchester, and served on a number of committees and sub-committees. Baillie, his kinsman, called him, however, a Malignant and Episcopalian, possibly because Durie, protected by Cromwell, was the only member of the WA who was not persecuted as Featley was and was directly appointed by the King. As you will know, Durie kept to the old Reformed doctrine of God’s Covenant, dropped by the English and Scottish Presbyterians which, however, was still kept by the Continental Reformers, chiefly the German-Swiss. Thus Durie’s teaching in his Advancement of Learning, Summarie Platform and Earnest Breathings are similar to that of Wollebius. In spite of the above brief description of the historical situation, you stress rather dogmatically that ‘Standard Reformed Covenant Theology identifies the nation of Israel with the Church:’ However, you do not describe Covenant Theology as taught by our mainline Reformed teachers. Bullinger’s great work of 1534 is far more to my taste in setting Reformed standards as to what the Covenant is and Bullinger was called the ‘one great pillar of the Reformed Church in England’. Calvin, Bullinger’s and Bucer’s oft wayward pupil, never reached the Reformed nature of his tutors. So, too, the Arch-Presbyterians who followed Cartwright and Travers departed from the Reformed faith radically and gave us a new Judaism and new legalism. Their Solemn League and Covenant is a Covenant of Works just like their misunderstanding of Old Testament Law. Cartwright and Travers followed the Heidelberg school of Hyper-Lutherans and Hyper-Calvinists who put Presbyterian Rule and Church Discipline and Externals before the doctrine of Grace. If we examine all the references to Church in the Old Testament, we clearly find that a distinction is drawn between nominal and actual membership concerning the people God has chosen out for Himself. Furthermore, the typology of the Church in the OT was not restricted to Israel. Abraham was no Jew, nor were Job, Isaac and the Patriarchs. So, too, the Old Covenant teaching distinguished between true and false believers and pointed out that the true teaching was for Gentiles, two. Abraham was the father of believing Gentiles as also believing Jews. The land promises to the Jews were not the same as the New Covenant promises to them. Furthermore, though there are believers from most denominations, including the Baptists, who speak of Israel as the Church of Christ, do they really include unbelieving Israel? I think not and Presbyterian writers such as John Murray of Princeton and Westminster Seminary clearly deny this. Murray rejects all theories which teach that the idea that the being of the Church is embracive enough to include Israel as a nation. If, therefore, you find a Christian body who claims that every citizen of the 12 tribes was a Christian, I would claim they are in error but in my 55 years of studying Church History and the original texts, I have never come across such people. 3. No, there was a point in time in which it was inaugurated. Could you name this ‘point of time’ please? 4. No, Christ is not the mediator of the Old Covenant, as the author of Hebrews makes plain. As I do not separate the work of Christ in the Covenant of Grace as you do into mainly two separate covenants with lots of little ones also snipped off, I cannot agree. We must have a word study together about the whole teaching concerning the dozen or so meanings of the words ‘old’ and ‘new’ in regard to the Covenant of Grace and Christ’s mediation in both. Even if we split the Covenant into Dispensations as you appear to do, we must admit that Christ’s fulfills both the so-called Old and the so-called New on our behalf which is His special covenant work. Concerning John Owen, he altered his views radically on the covenant as he did on ecclesiology but managed to outlive the Usurpation by adopting a merging of Reformed and Presbyterian doctrines. This is, of course, what the WA did as it was an ecumenical synod rather than a doctrinal one. Indeed, Rutherford and Co looked for an amalgamation of views on Enlightenment and rational principles. Read Lex Rex and then the Bayfield minutes. 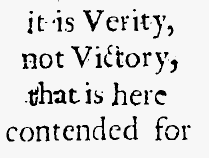 Read Durie’s works urging the Independents (here chiefly the Nyes and Thomas Goodwin) to come clear on their theological stand before opposing the Presbyterians on political grounds and grounds of church order only. ‘8. Please rephrase your question, I don’t follow. I believe that anyone who was ever saved was saved by the New Covenant (in distinction from the Mosaic Covenant, etc). ‘The term ‘New Covenant’ was not invented by NT writers but by OT writers who invited coming generations to join it whether pre-NT believers of post OT believers. Of course, cadash, liker kainos, express re-newing, reaffirming, refreshing and extending. It does not mean a Plan B or a change of mind. It does not mean that the New Covenant came into existence in the year 1. A.D. but it was there throughout the OT period as God’s Covenant with His Son transcends all time. I think I had better end here otherwise my contribution will be too long. However, before I tackle feedback on this, I had better tackle the other points which you would like feedback on first. Then the queries will have a firmer basis. Furthermore, though there are believers from most denominations, including the Baptists, who speak of Israel as the Church of Christ, do they really include unbelieving Israel? I think not and Presbyterian writers such as John Murray of Princeton and Westminster Seminary clearly deny this. Murray rejects all theories which teach that the idea that the being of the Church is embracive enough to include Israel as a nation. Can you please provide a page reference for where Murray states this. I believe there must be some kind of miscommunication between you and I. The belief that the Old Covenant and the New Covenant include non-believers is foundational to the paedobaptist position. I never suggested anyone claimed every Israelite was a believer. The New Covenant was inaugurated sometime during Christ’s first advent. Ok, I guess we disagree. Why do you distinguish so between presumed old parts and new parts of the covenant? Because the Bible does 🙂 And they’re not old and new parts, they are old and new covenants. Condemnation and salvation are both essential parts of God’s Covenant with His Son. Which is the New Covenant. It does not mean that the New Covenant came into existence in the year 1. A.D. but it was there throughout the OT period as God’s Covenant with His Son transcends all time. The author of Hebrews disagrees. The entire point of his discussion is that since the New Covenant has NOW come, the Old is done away. Thus the New did not come until the time the author refers to (Christ). A most necessary question to be cleared up before further dialogue proceeds as you separate the work of Christ in fulfilling the Law for our sakes (the wages of sin is death) and the work of Christ in salvation (the gift of God is eternal life`. You call the first part of Christ’s work ‘the covenant of works’ or ‘the Old Covenant’ and the second part ‘the covenant of grace’ or ‘the New Covenant’, thus splitting God’s Covenant with His Son on behalf of man into two separate covenants though they tell the one story of Christ’s dealings with his Father as Law-Fulfiller and Redeemer. Though I see Christ dying to seal one Covenant, you argue that He put Himself under two quite separate covenants. The Covenant of Grace or New Covenant which brings salvation to sinners is referred to throughout the entire Old Testament. The teaching there is plain, the privileges God gives to believing Jews will also become the privilege of believing Gentiles. Though the redeemed Church of the Lord Jesus Christ was formerly a pre-Jewish and Jewish matter, during the New Testament period, this Church was extended by the gospel coming to a wider Gentile sphere. We see this working out in the Great Commission, the Jewish Church evangelizing the Gentiles. As it is clear from the OT that believers of that time were taught the New Covenant, your denying that it was active in the Old Testament suggests that the Prophets on which the Church was built as much as the Apostles did not have ears to hear and thus were deaf to its message. Yet throughout the OT and NT we read the opposite to your view. Those who deny the contemporary outworking of the New Covenant in the lives of OT believers claim that a New Covenant feature found only in the NT is that the Law is now written on believers’ hearts, not on tablets of stone. OT believers were quite aware of this and believed it. Indeed, it is clear from the lives of the Patriarchs that the Law was written on believers’ hearts before it was written down. So, too, the NT Christians learnt this Good News from the OT before the NT was written. I trust that this will clarify matters and help bring us closer together. 1. You’ve misunderstood me. I never said what you are attributing to me. George, you really haven’t come close to understanding any of my points. I never denied that the New Covenant was active in the Old Testament. In fact, my entire point is that the New Covenant was active in the Old Testament. Please re-read the essay linked to in this post – I don’t think you’ve understood it. 4. Again, you’ve misunderstood me and are thus not arguing against anything I said. You answered my first attempt to come to an understanding of your views on the Covenant by saying that you did not understand me and though I did my best to explain what I meant, you now say that I misunderstand you. This is likely the case as we theologs usually try to sieve rocks through a tea-strainer when we are not arguing about full-stops and commas in the Hebrew text when they were not there in the first place. I trust we shall both overcome such backwardness. However, though I have tried to air my views which were not so much directed against you, whom, as you say, I do not understand, but in order to clear up the matter and come to some joint understanding, you refer me to material which causes my initial queries, still not dealt with. One does not help an enquirer by repeating what has not been understood but by both explaining what one means and applying that to the student’s enquiries according to their relevance. If irrelevant, this must also be explained. We know we do not understand each other. I have made an attempt to explain my first thoughts on your words, now it is your turn to do me the honour. Perhaps, rather than try to but the whole Body of Divinity on the table at once, I should refer to the one major aspect where I do not follow you. This is your doctrine of retroactivation. Of course, historically speaking our thoughts today are somewhat retroactive concerning both the Old and New Testaments but you appear to view the New Covenant as a New Testament phenomena dealing retrospective with the Old Testament within the Covenant of Grace. The latter, I understand you to mean, being a synonym of the New Covenant. If I understand you aright, this is where we disagree. For me the New Covenant is not retroactive put proactive or progressive, that is, the opposite. We NT saints profit by it as did the OT saints but we receive the progression and continuation of what they received in time before us. This is because God’s grace does not shine from our age, or Paul’s age back to Abraham but shines from God’s tribune in eternity on Abraham, Paul and us in that order in time. I do not wish to argue with what you said. We may agree on all points, but I would so like to understand what you are saying. At the back of my mind is the NCT idea that OT sinners did not enter into full salvation until A.D. times when, by grace, they were added to the Gentile Church after being let out of the waiting-room. Scripture as I see it refers to Gentile Christians receiving the same redemptive privileges which believing OT saints already possessed. Thank you for clarifying that you are just trying to understand and not argue. It appeared to me that you were just eager to argue, when it didn’t seem you had taken the time to understand first. I am very happy to try to clarify my beliefs. If you could try to boil things down to communicate as simply as possible, it would help me. IMO your comments tend to be verbose. I am not suggesting that OT saints were put in a waiting room until Christ came. I believe they were saved and entered heaven upon death. What I am suggesting is that they did so BY the New Covenant (the fulfillment of which was yet future) and not BY the Abrahamic, Mosaic, or Davidic covenants. Thus some of the benefits unique to the New Covenant (regeneration, law written on heart, eternal/moral sins forgiven, etc) were enjoyed prior to the fulfillment of the New Covenant at Christ’s death. If these notes intrigue/interest you and you would like to more fully understand my view, I would encourage you to read Owen’s comments on Hebrews 8:6-13 in full. Thank you for your frank and candid response. I certainly gave your thoughts much attention and have studied Owen closely for the last fifty-five years gathering material on him in many pan-European archives, some never published. We are, as Owen also confessed, still learners in this field. Owen, for reasons already given cannot help us anymore, but we can help each other and your readers. Is there not a difference between the idea that the New Covenant had to wait until future time to be applied backwards and the Biblical doctrine of the fulfillment of time itself which was for all time and eternity? Covenant fulfillment does not work backwards but where and when applied. I see therefore no difference in the Biblical concepts that Abraham was saved by faith just like you and I were saved by faith. Otherwise, like me, you are obviously a proactivist or progressionist rather than a retroactivist. Can one argue that the New Covenant was only validated in some future time to Abraham and in some past time to us when all God’s saving blessings are applied on believing in whatever time? They are all reserved in Heaven for us whether OT or NT. Why split God’s one covenant of grace, redemption and peace into various dispensations and thus omit essential features in each? Why omit parts of the Covenant which are its very backbone and spirit? How can you remove God’s dealings with Abraham, Moses and David from the covenant of grace? Were they not preachers of it and partakers in it? Concerning limiting the work of the Spirit in the New Covenant in OT times; surely one cannot be more possessed by the Spirit than possessed and more full of the Spirit than full as were the OT saints and the New. The work of the Spirit in the NT was to spread the OT Church through the nations of the gentiles. In this sense it was ‘fuller’ than in the OT in scope but not salvational quality. Your link is more Adams than Owen whom I read quite differently. However, Owen’s contemporaries on the Independent, Anglican and Baptist side put him right on a number of topics where he wavered. This is why Presbyterians, Anglicans and Congregationalists and even a few Baptists all take Owen to be their own as he seemed to be at set periods in his development. Teaching under Worthington at Cambridge on the subject beat Owen’s Oxford hollow. I have read your recommendations, please read Owen’s and Worthington’s mentor John Durie on the subject in his Summarie Platform and Earnest Breathings. It is wrong to build on Owen as if he had the last word. Owen was quite frank about the fact that he was no new path-maker. I can give you his reasons at length but you might think me merely verbose. There is enough to admire in Owen without taking over his sitting between two stools on the Covenant question. Please be precise in your accusation. What I provided is simply an outline of Owen’s own argumentation. If you believe it differs from what he actually said on any point, then please inform me exactly where. It is wrong to build on Owen as if he had the last word. I don’t believe I have anywhere done so. He simply summarizes my own view quite well, so when people ask to understand my view, I point them to him. I see therefore no difference in the Biblical concepts that Abraham was saved by faith just like you and I were saved by faith… How can you remove God’s dealings with Abraham, Moses and David from the covenant of grace? And, once again, neither do I, and I do not remove God’s dealings with Abraham, Moses, and David from the covenant of grace. Who are you arguing against? I’m sorry, but this discussion has gotten absolutely no where and I’m not very inclined to continue.